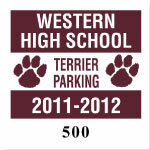 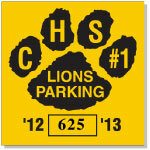 Great Prices and Designs on Square Parking Permit Decals, and Parking Stickers for High Schools, Colleges, Universities, Businesses, Communities, etc.. Let us create a custom parking decal or sticker for your school or institution with one of our designs with your mascot or logo, or just let us create a unique design for your school or institution. 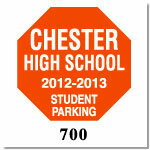 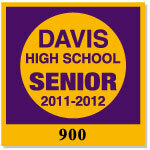 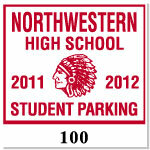 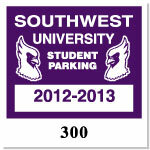 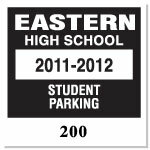 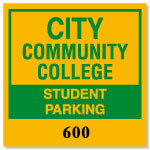 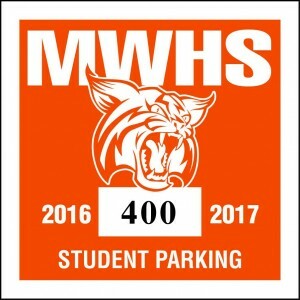 Parking permit decals and stickers are ideal to control and monitor parking lots for High Schools, Colleges, Universities, Businesses, Communities, etc.. We have a creative art department that can design a custom parking permit decal or sticker that reflects your school spirit or your institutions logo. 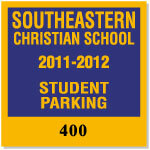 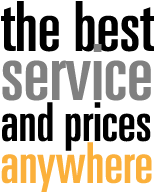 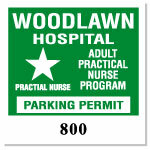 Square Parking Permit Sizes (trim size 3″ X 3″ cut on a square) or call for additional sizes.